Sometimes you just need to get away from the hustle and bustle—relax a little, have some fun—especially in summer when Phoenix temperatures sky rocket. 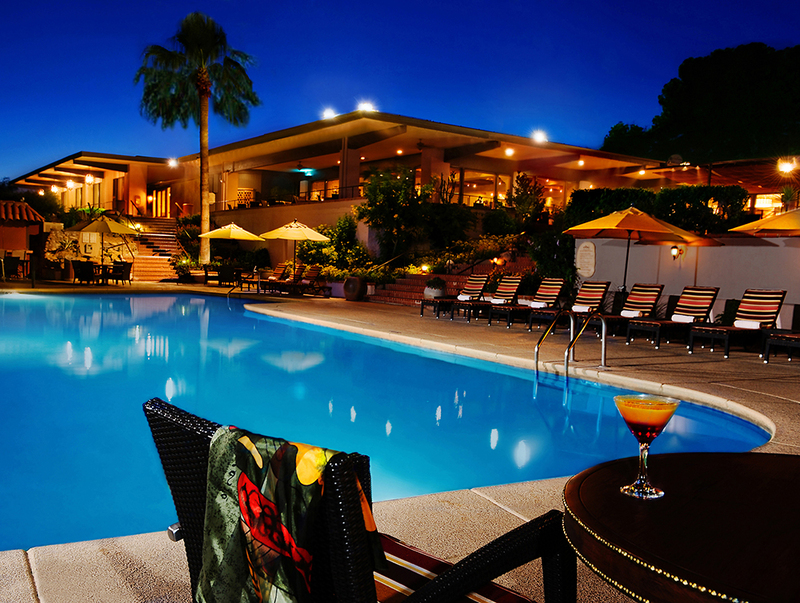 Westward Look Wyndham Grand Resort & Spa offers a distinctive retreat and is less than two hours away in Tucson. A blend of historic charm and modern comfort, this 80-acre, certified green resort rests at the base of the breathtaking Santa Catalina Mountains. Mountain views and on-site hiking, biking, and horseback riding trails bring you back to the beauty of nature, while multiple pools and spacious, tranquil suites and guestrooms offer relief from the heat with Southwestern touches. This summer, make sure to visit Westward Look and help celebrate over a century of memories. Built not long after Arizona became a state in 1912, Westward Look is celebrating its 103rd anniversary with a Family Reunion theme. Guests are invited to join in on the fun and create some of their very own memories with activities for all ages, including barbecues, movies, music, dancing and more. To relax and unwind, visit the resort’s peaceful Sonoran Spa. Treat yourself to desert-infused treatments designed to help you relax and replenish. The Seasonal Wellness Garden Scrub, for instance, incorporates aloe vera or mint from the resort’s on-site wellness garden in a body scrub that adds fresh indulgence to skin. The spa is the perfect place to visit following a swim in any of the resort’s three sparkling pools or after an invigorating game of tennis on one of the resort’s eight courts. As evening arrives, breathe easy and enjoy the view—a famous Tucson sunset followed by glittering city lights through the windows of GOLD, Westward Look’s award-winning restaurant. GOLD serves up sophisticated, modern American fare with fresh, often locally-sourced ingredients. Enjoy Southwestern flavor, local beers and craft cocktails in a more casual, cowboy atmosphere at Lookout. At the end of a day making great summer memories, Westward Look’s individual guest rooms are soothing and inviting, featuring sunset-inspired color schemes and all the comforts of home. Sink into Sealy Posturpedic pillow-top mattresses and all-natural bedding. Connect to high-speed wireless internet or watch a movie on the 43-inch flat panel television. It doesn’t get much cozier. When the desire to escape the everyday routine is too strong to ignore this summer, pack a bag and head south to Tucson’s Westward Look Wyndham Grand Resort & Spa. Its unparalleled charm and amenities truly make it the Soul of the Southwest and an Arizona experience not to miss.